Today we learnt all about lovely Lemon Sharks! First, we practiced our animal sign language then we learnt about the different parts of a shark’s body and guessed the size of the biggest and smallest sharks in the ocean! Next, we discovered how baby Lemon Sharks live in mangrove forests when they are little because the roots are the perfect places to hide away from predators! Then we decorated different body parts of a Lemon Shark and had to make sure we put all the pieces back together to build our very own lovely shark! 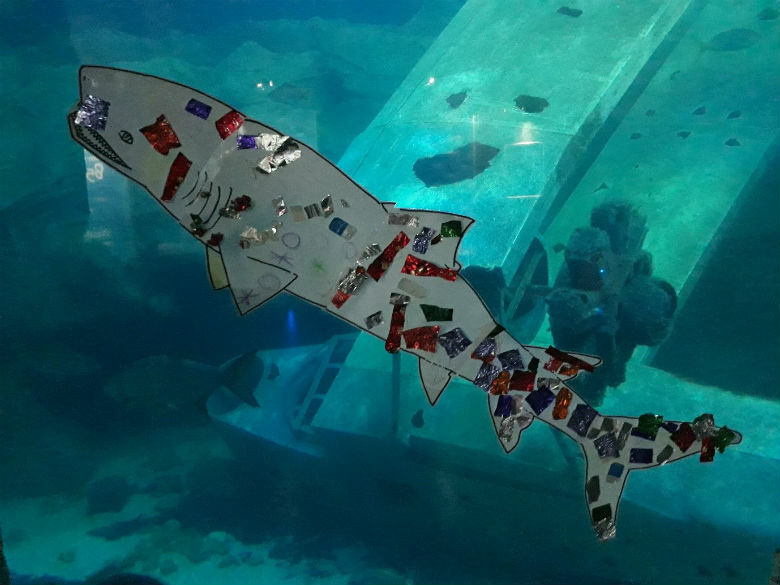 We took our fabulous shark to see Citron the Lemon Shark, who lives in our Atlantic Ocean exhibit, and then played some games before heading back to the café for a sing song. A fintastic time was had by all! Sharks have been around for over 400 million years which makes them older than dinosaurs and trees! They can be found in every ocean in the world! The largest shark is the whale shark which is 12m long, that’s twice the length of a giraffe! The smallest is the Dwarf Lantern shark which is the size of your hand! Lemon Sharks are a beautiful yellow colour, just like a lemon! This colour helps them to blend into the muddy sand so that they can hide away and sneak up on their food. Just like us, Lemon Sharks grow inside their mum’s tummy and they are connected with an umbilical cord. This means that Lemon Sharks are born with a belly button! Imagine that, how cute! 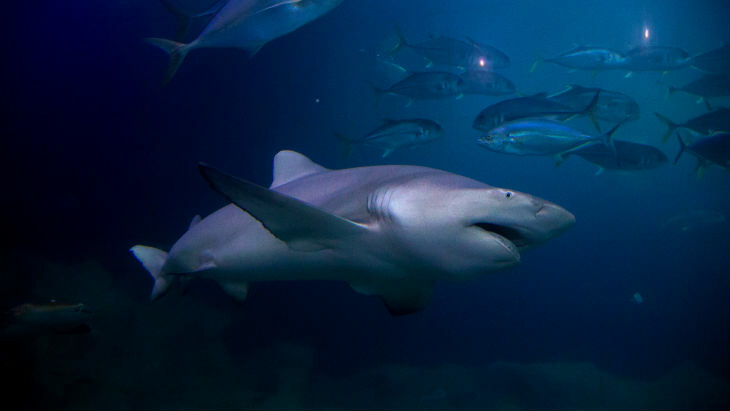 Lemon Sharks can have from 5 to 20 babies in one go! When Lemon Sharks are babies they spend their time swimming around in the safety of the mangrove forests! They can stay nice and safe there until they are big enough to go out to the open ocean. Unfortunately, many mangrove forests where lemon sharks grow up are in trouble! They are being cut down to make space for farms and houses. There are lots of people out there replanting mangrove forests just like they are with the rainforests. We can help mangroves by letting people know just how important they are! Next Week: We are learning about the weird world of the upside-down jellyfish!